Sometimes, practicing yoga is categorized by levels rather than by what type it is. It is best to know what is going to happen in each level before attending in. Levels may start at one but too much stereotyping in yoga does not work at all times. Let us always remember that on your mat, there is no competition but only progress and improved you along the way. All classes no matter what level will focus on proper breathing and will work on your mind and body through postures and mantra. That’s why in practicing yoga by levels it is important to reflect on yourself what you need to know what is the appropriate of level you should go. Sometimes, to say level 1, 2 or 3 in practicing yoga the ascending numbers does not work at all time. Basic classes is a demonstration of the simpleasana or postures in their Sanskrit names or in the English translation. Just because it is the first level it does not meant for beginners alone. Yes, first level is best for those who are interested totry yoga and have never attend one class before. Even advanced students keep coming back to the first level to work with their alignment on the postures. To reminisce the intention they had when they started doing yoga. 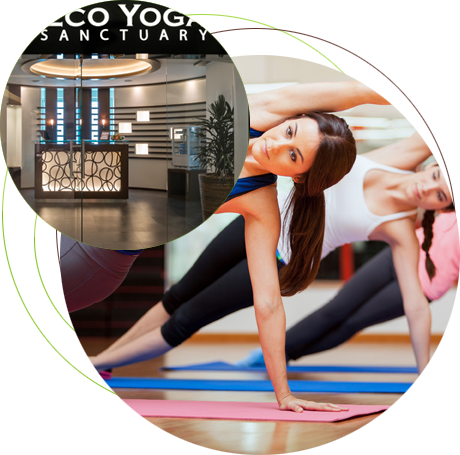 Most especially, expect that in this class the focus will be on safety and correct alignment that it should be comfortable until you become familiar with the yoga postures. On this level, students are either beginners or advance or multilevel who are after for regular practice. In short, these classes are suitable for all levels of every students. So no matter how many years you have been practicing or at what level you are in, you will fit for this class. For this is the best class to explore more with their practice of postures and breathing together. For each classes have specifications in which all together are connected. Safety should never be disregarded, so if you feel uncomfortable make take your pace slow and adjust with your body. Level 3 yoga is a class of regular practioner who have solid knowledge of yoga postures and is comfortable performing advanced postures with mastered connection to breathing. Expect that in the class, the teacher will give less instructions for it is safe to assume that students already know and understand how to do it right. Movements will move very quickly and will more difficult. Most importantly it will focus on your body and mind without attending to distractions. To have harmless practice make sure to stay safe and healthy and pose regularly to strengthen your body and become more flexible. You don’t have to be masters to join the advance class, as long as you desire to try them then believe you can surely do them. Come to a class where beginners, intermediate and advanced yogis come all at once. This class will guide you all the way what level and type of yoga perfectly fits your needs.